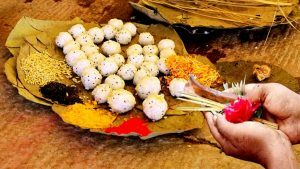 Many people dismiss Vasthu as a waste of time and as a superstition. In reality Vasthu is an architectural science that deals with building houses in accordance with purpose, rules and best practices. While some of its recommendations may seem archaic and downright silly, Vasthu has a logical reason behind each of its principles. For example, Vasthu recommends building houses with thresholds that face either the Northerly or Easterly direction. This is something that many would not even consider, yet history and experience shows that houses constructed with the principles of Vasthu appear more graceful, peaceful and flowing. This can be seen frequently in the buildings of South India. Vasthu calculates rainfall, wind, sunrise and sunset to identify the ideal way to construct a house. If a house faces north then the effects of harmful UV rays from the sun on the threshold, where members of the house and guests congregate are highly minimized. Similarly an East facing house has the advantage of being graced by the rays of the rising sun which bring life, vitamins and nutrients. Hence Vasthu is not a superstition and pseudoscience. It is rather a clever set of principles put together by our ancestors to bring betterment into our lives. Vasthu advises us not to set up a kitchen or place of cooking anywhere in the South East corner and the traditional belief behind this is that a house is more likely to catch on fire if the kitchen is placed in the South East corner. It was said that across the eight directions, various deities safeguard them and the south east direction belongs to Agni, the god of fire. But a more valid reason could be that a South Westerly wind could pick up smoke and embers that rise up and set thatched houses on fire. While housing has become safe and strengthened in the years gone by, and people dismiss this as irrelevant tradition, the chances of South Westerly winds wreaking havoc still persists which is why kitchens and fire in general must be avoided in the South East corner of the house. Instead it is recommended to construct kitchens in the East or North East corners safe from the influence of rogue winds. Older buildings in India had their kitchens in the East or North Easterly direction as well as a kitchen window opening out in the East direction. This arrangement is practiced even today in modern construction. The reasoning behind this is as follows. As with most kitchens cooking produces a lot of smoke that needs to be let out from the home and a window is the simplest form of doing so. The blowing wind takes out the acrid smoke through the window leaving the home fresh and healthy. Furthermore, the kitchen is the key room of the house that starts buzzing with activity at the break of dawn. As the day’s food gets preparation gets underway, the sun also rises in tandem in the East. Opening the windows lets the sun’s early morning rays grace the food being made and enriches it with nutrients and vitamins. Vasthu recommends that a house’s bedroom be placed in the South East side. The deeper explanation is that since the bedroom is a place where we spent a lot of time in our house, it needs to be fresh and ensured plenty of air circulation and the South East winds make sure there is plenty of freshly circulated air if the bedroom is placed in this direction. A room with good circulation improves intimacy and resolves any marital problems that couples have. 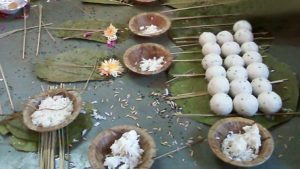 Thus, it can be concluded that Vasthu which is considered as a superstition is cultivated on actual science that results in a healthier and happier home. Click here to find temples that grants your wish to buy a health and a happy home for yourself.